Many banks and other agencies have taken steps to make women more financially independent and socially empowered. These steps include special accounts for women and girl child, concessional rates and also special schemes to encourage women to buy houses and take home loans on their name. Successive governments have tried to introduce policies that encourage women empowerment and also aid financial inclusion of women in all spheres. Owning one’s own home especially, gives a great sense of financial security whether it is a man or a woman. Many banks and other agencies have taken steps to make women more financially independent and socially empowered. These steps include special accounts for women and girl child, concessional rates and also special schemes to encourage women to buy houses and take home loans on their name. Women have an edge over men at least in recent times when it comes to applying for a loan. 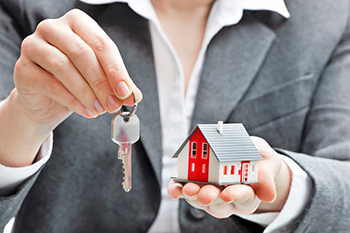 What lenders offer women when taking a Home Loan? So if you are a lady looking to buy your own house here is a low down on the advantages you may have over your male counterparts. Different banks have different scheme for women buyers; however most offer these privileges when a lady is the primary or sole applicant and primary or sole owner in case of joint ownership of the house. Lower Interest Rates: When one is looking at applying for a loan the factor that attracts the maximum attention is the interest rate. Since home loans are for huge amounts and run for quite long durations even a small change in the interest rate can go a long way in either increasing or decreasing the interest burden for the borrower. Currently most banks offer a differential of 5 basis points to women borrowers. SBI bank has a special home loan scheme known as “Her Ghar”, HDFC calls their women oriented lending scheme “Women Power” and ICICI Bank and LIC also offer loans to women at concessional rates. There might be other NBFCs too that may be offering loans at lower interest rates to women. Higher chance of loan application being accepted: All lenders have a laid down process for scrutinizing a loan application before accepting it. This obviously involves that the applicant comply with the eligibility criteria laid down by the lender, submit the required documents and proofs and also have a healthy CIBIL rating. Credit score is a way in which banks assess the risk potential of the applicant. Having said that, women are perceived as less risky borrowers when compared to men and are also considered more regular (well a part of the population might protest on this…) when it comes to paying EMIs. So though loans are given based on numbers and documents, yet another fact beyond the rules laid down by the banks is that the chances of a loan application being accepted when a woman is primary applicant or joint applicant is higher; call it reverse discrimination if you will! Lower Stamp Duty: Though this is not a sop offered by lenders and it does fall under the loan part but is still a major saving when it comes to women buyers. Stamp duty varies from state to state and is decided by each State Government. Though there is no universal rule for this, but a lot of states have lower stamp duty rates when women buy properties either as sole buyers or as co-owners. Stamp duty also is huge burden for any home buyer, usually a concession of 2% or 1% is allowed to women when they buy a house in some states, Haryana and Delhi being examples of it. Thus for a Rs. 50 lakh house it could mean an outright saving of up to Rs. 100,000. Though not a rule but often developers and builders also offer some special time bound schemes that are designed to encourage women to buy houses. These may be discounted rates, offer to waive of some charges and so on. Even when it comes to sale of plots by governments based on lottery system there might be some special privileges given to women. So ladies go out there and make the home of your dreams; the bankers and the government are offering you all the help and privileges required to do so.